For those who are after a tap that does not have a built-in waste mechanism, this GROHE Eurosmart tap's body is free of both chain and pop-up rod. 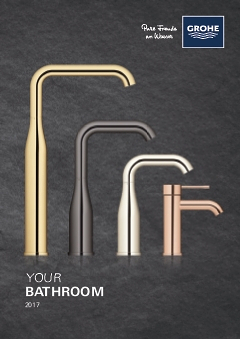 The GROHE StarLight chrome coating gives it a deep sheen and shows the appealing, unfussy lines to good effect. The integrated GROHE SilkMove cartridge technology means operating the lever is very light touch, even after years of everyday use. GROHE EcoJoy water-conservation lets you cut your water use by up to 50%. Our easy installation system means you will have it fitted and operational with minimal fuss.